With the increasing number of communication channels and social media platforms, customers expect to interact with the contact centers of brands easily over the most convenient channel. However, agents may find it taxing to handle multi-channel and multi-social platforms across several different applications. Additionally, the needs of the customer also change from one channel to another. Compounding the challenge further, the existing customer service communication systems and practices of the contact centers are becoming outdated and are unable to address these challenges in the industry efficiently. “The key is to harness the power of technology to meet increasing customer expectations by providing a truly integrated customer engagement experience based on world-class products,” says Mark Bradley, Director of Product and Marketing at Continuous Technologies (CTINT). With over three decades of experience across multiple industries, CTINT develops innovative customer engagement solutions. 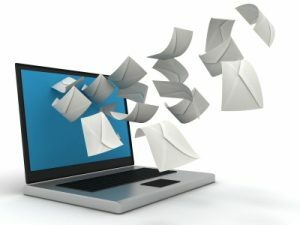 These solutions are focused on integrated information and communication technologies for both enterprises as well as government organizations. The company has evolved from a contact center solutions provider to an intelligent solutions provider. “Our vision is to practically apply leading-edge technologies and innovation to deliver tangible business value for customers,” says Mark. Recently CTINT has been at the forefront of building business-to-customer engagement solutions that leverage Artificial Intelligence (AI). 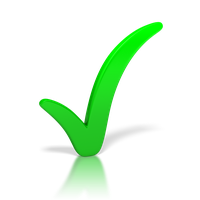 The objective is to provide a more effective customer experience with increased efficiency for workforce optimization. 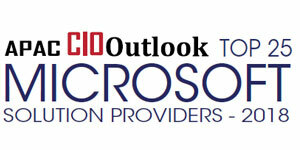 CTINT also delivers contact center solutions that support the trend away from on-premises to cloud solutions. This is in response to their customers move away from capital intensive, and IT support intensive call centers to more flexible, responsive solutions that require less IT resources. The solution is an integrated enterprise applications system, built on best-in-class applications from our partners. Over the years CTINT has developed many strategic partnerships with platform developers that deliver a world-class experience for their customers. Since 2010, CTINT has been a Microsoft Partner Gold Communications. Microsoft provides CTINT a sustainable foundation with unlimited app-integration possibilities in high flexibility and high availability. CTINT partnered with Interactive Intelligence since 1999. Interactive Intelligence was later acquired by Genesys in 2016 continuing the partnership. Genesys has become the leader in both cloud and on-premises platforms, provides a best-in-class customer engagement solution. In 2014, CTINT became the first Asia partner of Creative Virtual. Creative Virtual is a world leader of conversational self-service solutions that bring AI to human interaction in the form of their Virtual Customer Assistant (VCA). 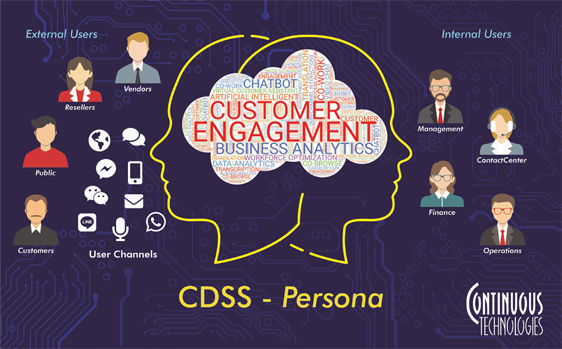 CDSS Persona is a solution layer developed by CTINT that brings together different technologies and provides a uniform yet consistent user interface for agents to handle multi-channel and multi-platform communications—the foundation of omnichannel experience. “Our solutions are built upon services developed by our world-class technology partners and also by us, bringing our local expertise to meet unique customer requirements,” says Mark. These solutions offer multiple channels for the customers to interact with their brand including websites, voice calls, apps, WhatsApp, WeChat, Facebook, and more. On the agent side, depending on the mode of interaction and the nature of the customer, the solution automatically chooses the most suitable agent who can proactively meet the needs. The agent has a full view of the customer journey and profile analytic summary before the interaction commences. The AI assistant will enable the agent to provide the most accurate and useful information to their customers, even upsell, throughout the interaction. On the other hand, management can access insights discovery and continual analytics throughout the customer engagement process for a better understanding of the customers’ needs to plan better business strategies. With an SME customer base, 15 percent of which are listed in the Fortune 500 and Fortune China 500, CTINT is serving over 60 enterprise customers in over 13 global locations. They have also implemented more than 400 projects over the past five years. The company has been able to have high client retention rates with 45 percent of its clients continuing to work with them for more than ten years while a further 17 percent have over 20 years of engagement. CTINT and Canon have been partnering for more than a decade to implement Canon’s Customer Delight Service System (CDSS) in nine countries of the Asia- Pacific region. “Working with Continuous Technologies has enabled us to tailor our CDSS for delighting our customers and enhancing our operational efficiency in all our Asia offices,” says Hiroshi Miyazato, VP of IT and GA at Canon Asia Marketing Group. Ever since its inception in 1989, CTINT has been the frontrunner in bringing innovative technologies to Hong Kong. The company started with Hong Kong’s first phone banking interactive voice response (IVR) system that provided a mainframe connector for banks. Other milestones achieved by the company include Hong Kong’s first dynamic content to speech IVR platform, mobile WAP banking system, secure mobile workforce solution, and more. The contact center system developed by the company over a decade ago for one of the Hong Kong Government departments provided multi- and omni-channel experiences. Citizens can call, email, fax, and mail in to inquire for information or report a case and the corresponding department officer can follow up with the citizen via email, SMS and others, even face to face at the counter booth. “CTINT is exploring and discovering new solutions and technologies that can improve business-to-customer engagement, tailored for the customer’s specific business operation model,” adds Mark. For instance, he stresses that advanced and sophisticated image recognition technologies, such as facial recognition for identity verification, security protection, and so on, have the capability to enhance intelligent omnichannel customer experiences further. These technologies empower agents and customers to have better communication through video conferencing, co-browsing, and co-working, which thereby makes the interaction more efficient and effective. The company envisions enriching and expanding its omnichannel touchpoints to keep pace with the latest disruptions in technology. “The goal of achieving a true omnichannel experience never ends as service providers are constantly called upon to evolve responsively in relation to customer engagement behaviors,” concludes Mark.